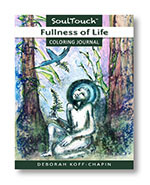 These coloring journals bring a new level of depth and artistic expression to the coloring craze. 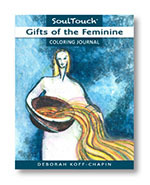 The flowing forms of Deborah’s evocative images encourage a creative, free form approach to coloring. 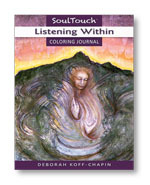 The user is also invited to meditate on the image and write on the journal side of the page. 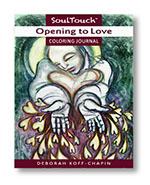 Suggestions for holding a coloring and journaling group are included. 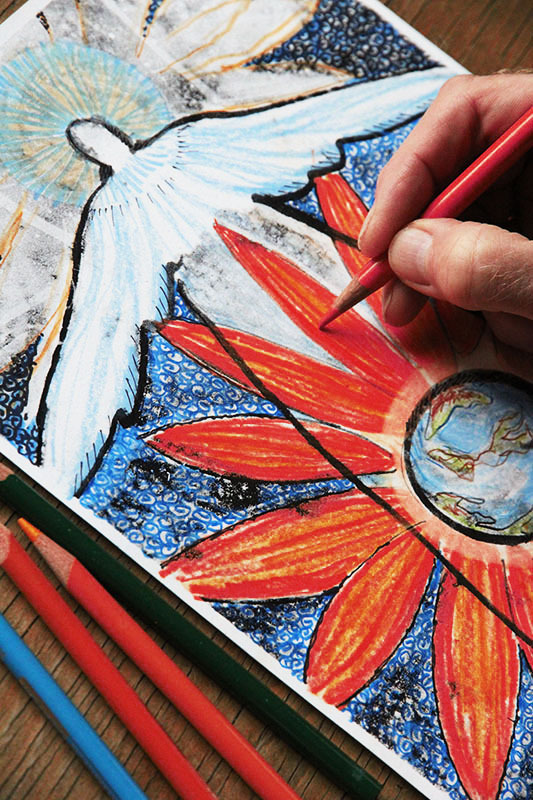 The 38 drawings in this book are printed on heavy, high quality paper and perforated for easy removal. 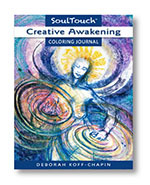 Download a free sample Creative Awakening with 4 pages to color. 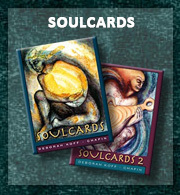 Click on cover images to view inside each book. 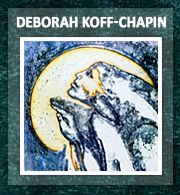 By Deborah Koff-Chapin Twenty years ago, I released the first deck of SoulCards. 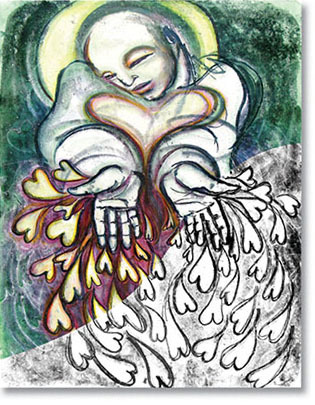 They continue to live in the hands and hearts of many thousands of people around the world. 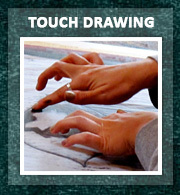 Now, I am riding a new wave. 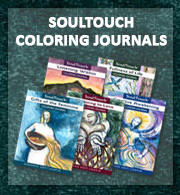 As the interest in adult coloring books grows and crests, I offer my images to the world in a new form: SoulTouch Coloring Journals… Read the full article.